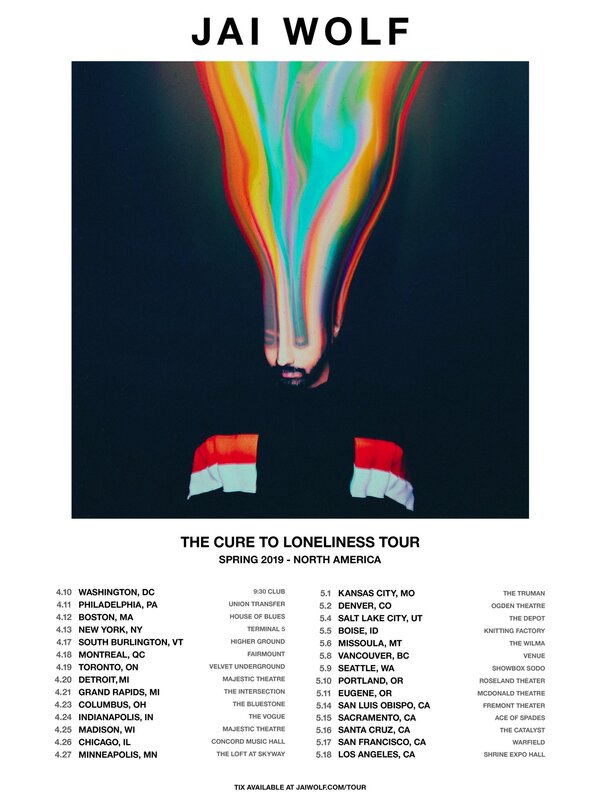 Get tickets for Jai Wolf Cure to Lonliness Tour promoted by Goldenvoice presents at Shrine Expo – Jai Wolf tickets at Shrine Expo Hall in Los Angeles – Presales Start: 1/15 @ 10am. Download the Discotech app and search Jai Wolf – use code TELEPATHY to get access to the artist presale! For the most part, Jai Wolf took 2018 off. Apart from releasing “Lost” with Chelsea Jade and its accompanying remixes, Jai didn’t tour for all of 2018 and didn’t release any other music. For EDM artists, for whom releasing music consistently is arguably more important than in other genres in order to stay in a DJ’s song rotation, the move could only mean one thing: something bigger was on the horizon. This is the one that a lot of Jai Wolf fans could end up scratching their head at. Right off the bat, it’s clear to hear that this isn’t like any other Jai Wolf track we’ve known thus far. The drums and guitar immediately give the impression of a pop alt track, and as soon as the vocal croons comes in, there’s no doubting it. This is a new style for Jai Wolf, coming off like a combination of Capital Cities and M83. It’s not immediately apparent if this is a one-off on the album or a sign of things to come, but our interest is definitely piqued. “In my heart, this album is me,” professes Jai Wolf. “From the sounds to the lyrics, it’s everything that I’ve always wanted to do.